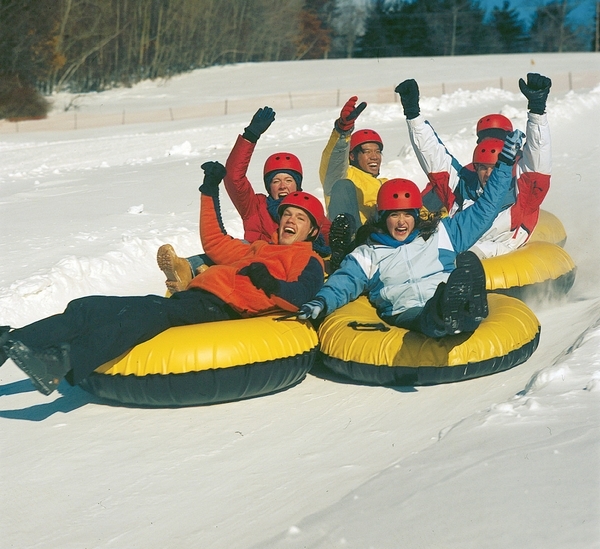 If you’re a skier, chances are you already know of fun winter attractions in the Poconos. As a total skiing tourist trap…er, destination, we have plenty of slopes. What about us non-skiers though? What can we do in the Poconos? As someone who grew up here, it may surprise you to know that I’ve only been skiing twice in my life. Once when I was very little and once when I was 15. That second time, I fell down the bunny slope backwards, got stuck and had to be rescued by an elderly couple. That was the end of my skiing days! Whether you’re visiting with skiing relatives or just passing through and looking for some winter fun, I’ve got a few suggestions for great places to visit in the Poconos for non-skiers. Check them out! 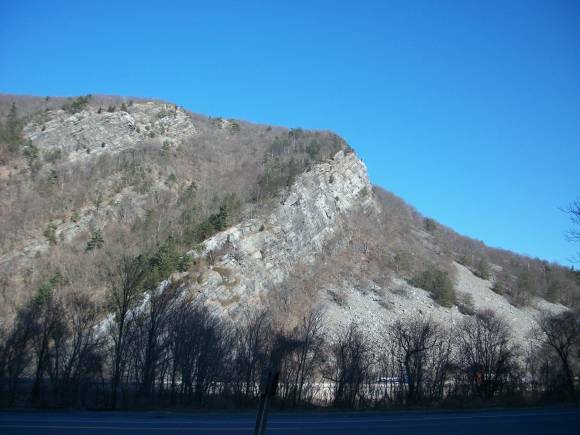 Shawnee Mountain– Yes, it’s a ski resort. Yes, it’s mostly for people who love to ski. However, they also have a really cool snow tubing hill for those who would rather keep their feet out of unnaturally long sticks. That’s not the main reason I mention them, though. Shawnee Mt. is home to dozens of fabulous festivals throughout the year. If you happen to be in the area on February 22, check out their Winter Carnival. Camelback Mountain is also a great ski place with other things to do for those who aren’t into skiing. These are great options for those who are with skiing family members. Aside from the carnival, I wouldn’t recommend them as something to do if you’re not stuck with skiers! Water Gap Trolley- If you’re interested in history and like guided tours, this is one of the coolest little attractions in the Poconos. The old-school trolley ride takes you through different points of interest, giving you a glance at the historical side of our area. The Water Gap Trolley only runs on weekends during the winter. Cost is $9.50 for adults and $4 for children. Why would you want to take this tour in the winter? Honestly, with the bare trees, you get a better view of the interesting landmarks in my opinion. Ice Skating: The Poconos is home to plenty of lakes and ponds, so lace up those skates and hit the ice! 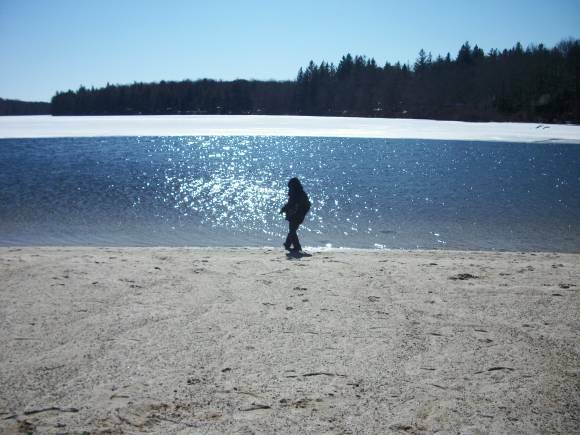 Most of our area’s state parks allow ice-skating, as long as the weather is cold enough to keep the ice frozen. When it’s unseasonably warm, indoor rinks are your only safe option. Sadly, most of our indoor rinks closed years ago. Skytop Lodge still has one, though! Paintball: Did you know that the Poconos is home to one of the largest, most successful paintball venues in the world? Skirmish USA has been around for as long as I can remember, but I didn’t know they were so popular! I guess that happens when you live close to something, you kind of just assume it’s a tiny local attraction. Anyway, Skirmish USA covers 700 acres and boasts 50 different playing fields. They have options for beginners and experts. Bring your own equipment or rent from their extensive armory. 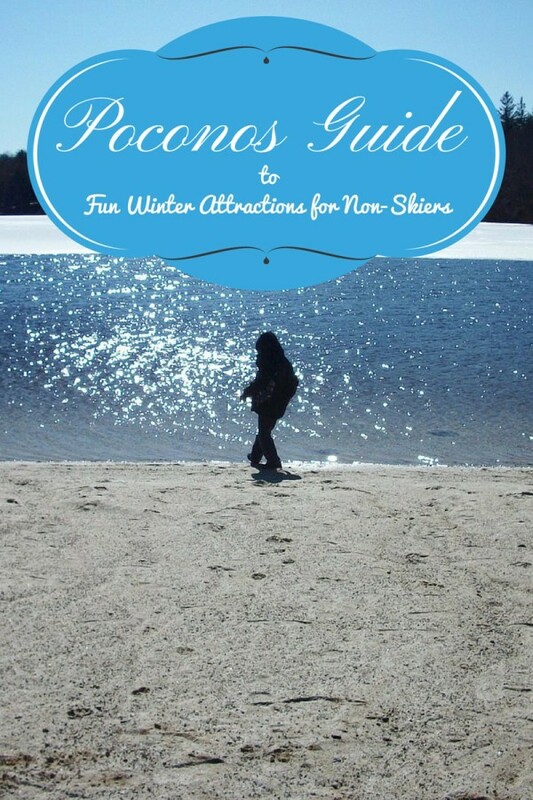 Finding fun things to do in the Poconos in the winter when you’re not into skiing has always seemed challenging to me, but while writing this post I found a few new ideas to try out! If you don’t want to spend any money, you can always bundle up and enjoy a snowy stroll through one of our many state parks! I did it a couple of years ago in Promised Land State Park. It was cold, but beautiful! We’re way out here on the East Coast. Definitely colder than Texas right now! Even though I’m not in the Poconos (I’m in Colorado) some of the ideas are good for people in general in mountain areas like myself that don’t ski. I am glad you wrote this, because I think a lot of people forget about all the other options for non-skiers. 🙂 It does make me want to take a visit over to the East Coast though, to see all the beautiful scenery over on that side of the country. Woodloch Pines in Pennsylvania. Absolute best resort for non skiers in the Poconos. I’ve gone 22 times. Really? I’ve heard great things, but oddly, never been. I’ll have to check it out sometime!